Reliable, Responsive and Professional Service to the Global Metal Trade Since 1970. 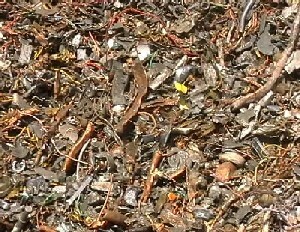 Paragon Metals International, Inc.’s extensive experience in every part of the scrap metal industry uniquely qualifies the company as a reliable business partner trading in both ferrous and non-ferrous metals including iron, steel, aluminum, lead, zinc, copper, metal alloys, among others. The company’s principal is qualified to act as independent professional and counsel for establishing metal grades, and/or may appoint neutral metallurgical companies to do so. Buyers are given the option to inspect materials prior to loading from suppliers in Europe and the United States. Also, careful analysis of price movement of scrap metals traded on the London Metals Exchange (LME) and Commodity Exchange (COMEX), aid in formulating competitive and accurate trade bids. This ensures that agreements will be executed satisfactorily. What this means to buyers and sellers of scrap metal, is that a fair and competitive price will be offered for purchase and sale. For our partners in the industry, Paragon Metals International, Inc. will deliver the grades and qualities of products as precisely specified by the internationally accepted recycling standards at a competitive price. PMI, Inc. can handle all steps in the trade process from loading scrap metal from the seller’s plant to the delivery of goods to the buyer’s works.